DUBAI, UAE, April 18, 2017/PRNewswire/ — Meraas has announced the launch of four exciting new hotel brands called EVADO, RE VERA, VIVUS, and MQ as part of its objective to establish the company as a world-class hotel operator. The hotels also aim to widen the hospitality offering in Dubai and present guests visiting the emirate, for business or leisure, a plethora of novel experiences. Meraas established its hotel operating arm in December 2015 to complement Dubai’s strategic roadmap of becoming a global destination of choice. The newly launched hotel brands are carefully curated to cater to the specific needs of travellers and visitors to the city and offer best-in-class design and the latest technology. The brands will target travellers in the boutique luxury, luxury, upper upscale, and upper midscale segments, with hotels set to be situated in prime locations. The first of the new hotels to be operated by Meraas are Re Vera and Vivus branded resorts located at Bluewaters. 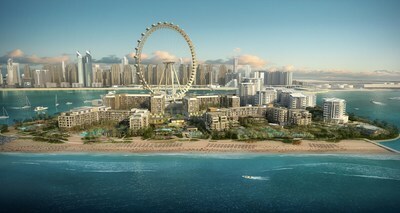 The hotels are on schedule to open their doors in 2018, and will be a short walk from Ain Dubai, the world’s tallest and largest observation wheel, being built the island. Re Vera Bluewaters Resort boasts 178 luxurious rooms and 96 serviced apartments, ranging from one to four bedrooms. Vivus Bluewaters Resort comprises 301 rooms and 119 serviced apartments also ranging from one to four bedrooms. Guests will have direct access to an array of amenities and services, as well as a 450-metre private beach.